I love this wreath. Thanks for sharing. 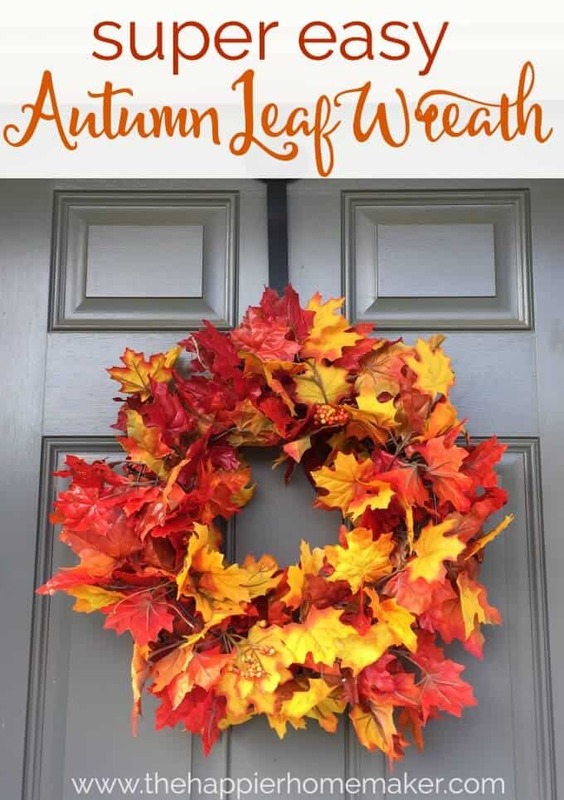 I love this easy wreath! I have everything at home to make it! Wow, that reminds me of a little Autumn wreath I made for my cubical when I worked in an office, there were 3 small ears of Indian corn, and everyone like it, after about a week, we kept seeing these little moths flying around, couldn’t figure out where the heck they were coming from…until I saw one flying out of the corn….ewwww…. I’m so glad you liked it Jane! 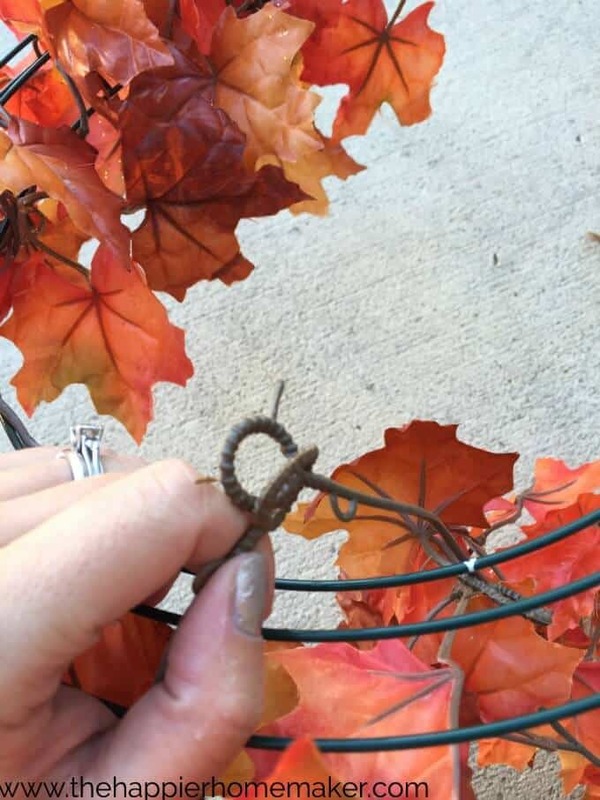 I made a wreath by putting a similar long fake leaf strip on a twig wreath. I added some silk sunflowers,dried seed heads,small bows & a large hessian bow.All of these I had in the basement. 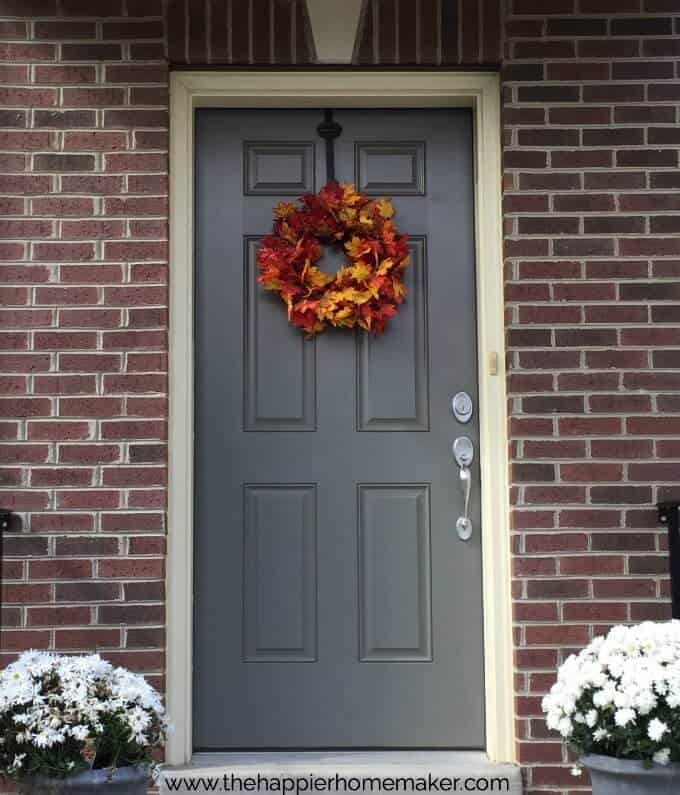 I am going to add a new wreath each season as it brightens up a boring door. Beautiful and simple!. 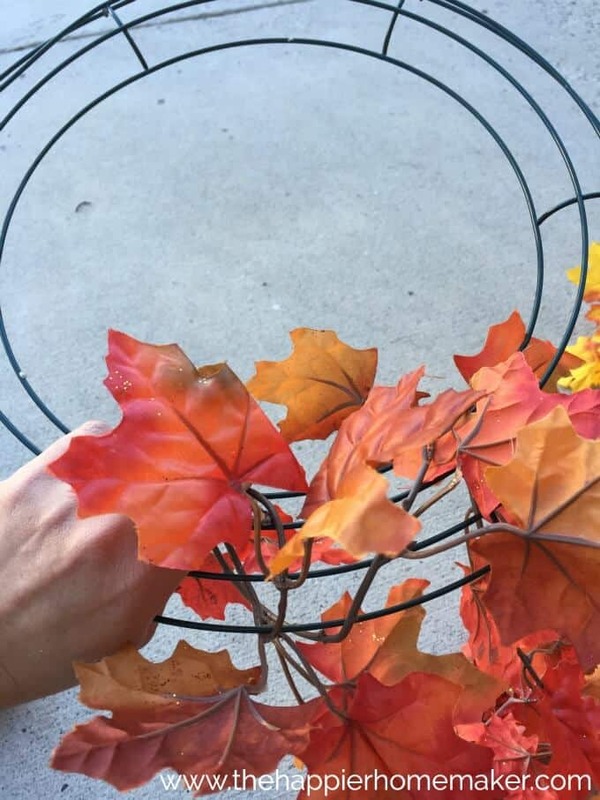 I’m sure you can make a smaller one if you want to use it for a Thanksgiving table center piece. 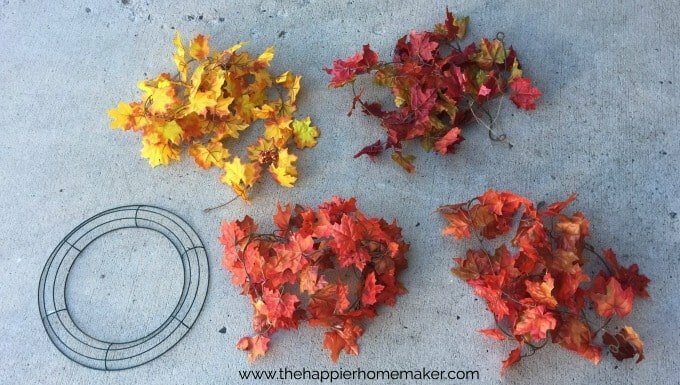 I’m always looking for easy, inexpensive crafts for my new blog thehappysenior.com and will share your site with my readers. Great idea to make it smaller for a centerpiece Anne!